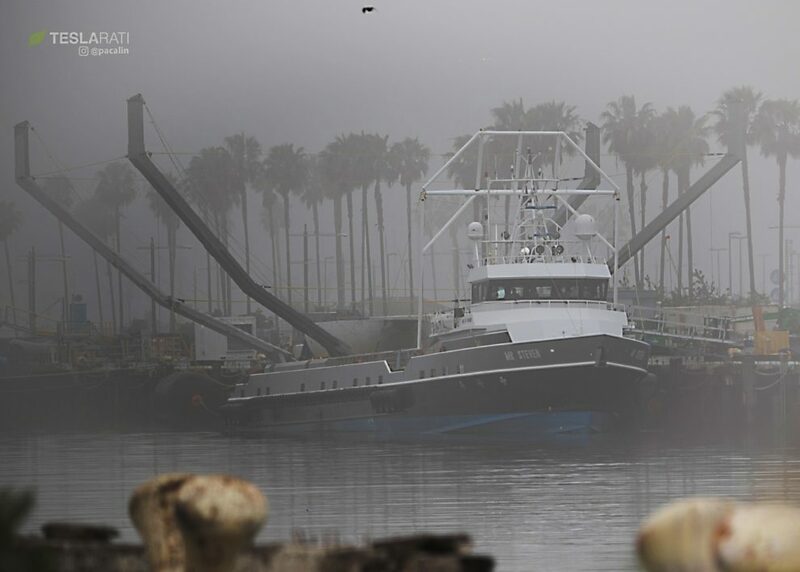 Despite a statement from SpaceX CEO Elon Musk that the Iridium-5 mission’s fairing recovery attempt had failed due to a twisted parafoil, Teslarati captured photos of clawboat Mr Steven arriving in the Port of San Pedro early Saturday morning with an apparently intact fairing half. 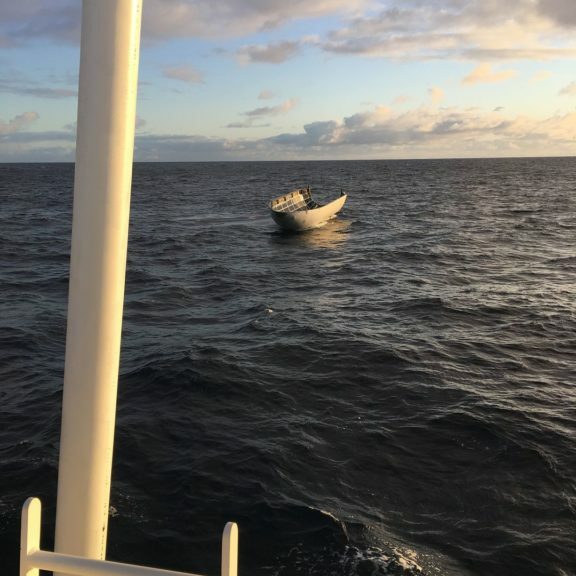 Not to be confused with the first successfully recovered fairing that returned to land in late February, this half is undoubtedly fresh from Iridium-5’s Friday morning launch. 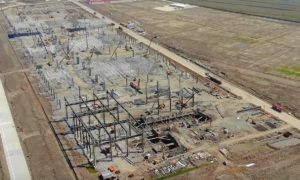 The $2.5 million, carbon composite aluminum fairing half recovered during SpaceX’s PAZ mission on February 22 is currently being stored and scrapped at SpaceX’s brand new port real estate – Berth 240, or the same location that was selected as the probable location for SpaceX’s first BFR manufacturing facility. 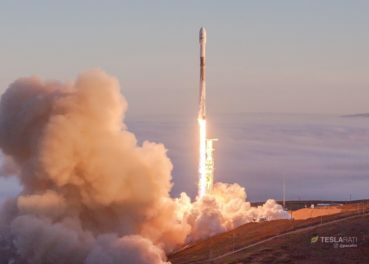 Compared to Musk’s previous comments during the first intact fairing recovery in late February, it would seem that Iridium-5’s fairing was all but doomed when it “impacted [the] water at high speed,” and the majority of fans appeared to have concluded as much. 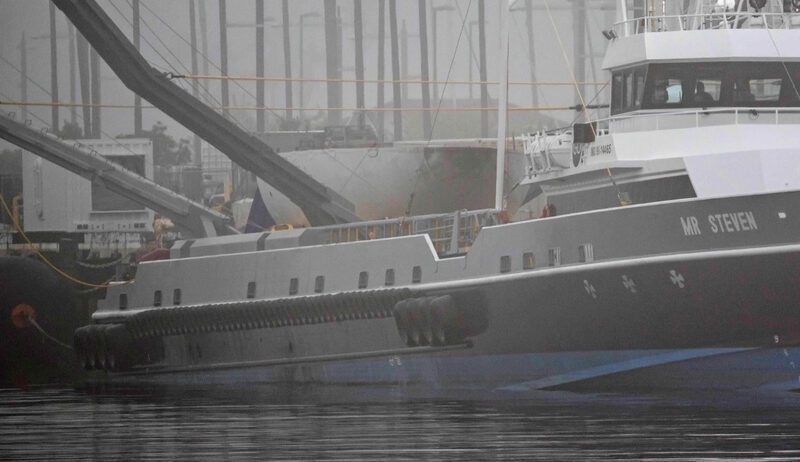 Following PAZ, Musk tweeted that the Mr Steven had “missed by a few hundred meters, but fairing landed intact in water” – as an incredibly optimized and lightweight structure, a fairing half would likely have to land very gently to avoid breaking into pieces. 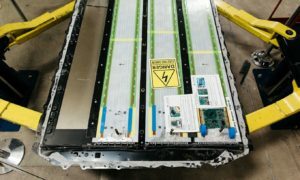 That Mr Steven’s crew was able to bring the Iridium-5 half aboard all but guarantees that it was floating intact on the ocean surface after touching down. 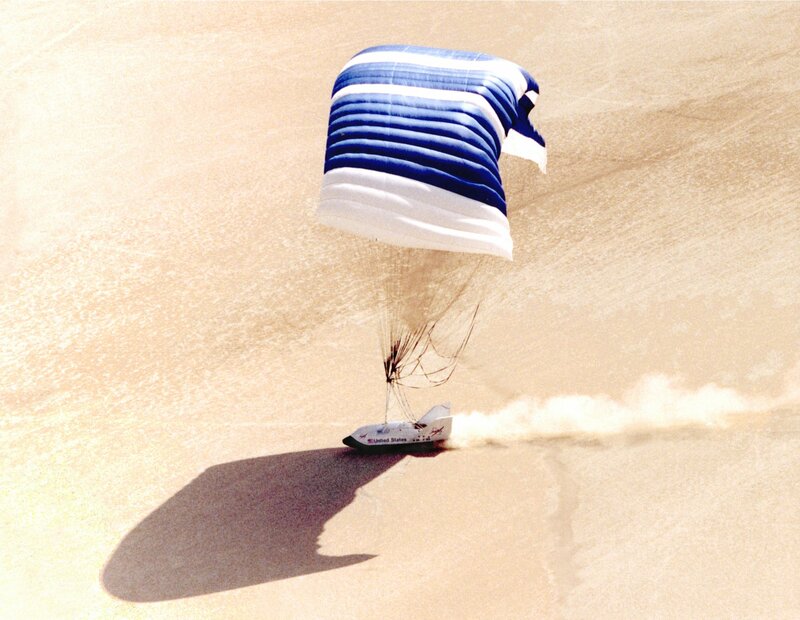 This does not necessarily contradict Musk’s diagnosis of a twisted parafoil, assuming he was referring to the lines that connect the fairing to the foil – paragliders frequently suffer tangles and twists in their lines, an event that typically warps the parafoil’s structure, thus lowering the amount of lift it can produce as a wing. 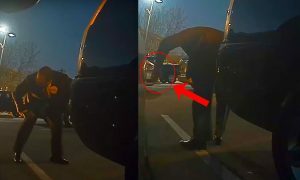 This is an inevitable risk of what is basically a self-inflating wing, and failures of this sort are known to kill or injure paragliders at low altitudes and can also lead to uncontrolled spinning (although that is very unlikely to occur with a 1000kg payload). Ultimately, GPS-guided parafoils have been done fairly successfully and many times over during the past two or so decades. 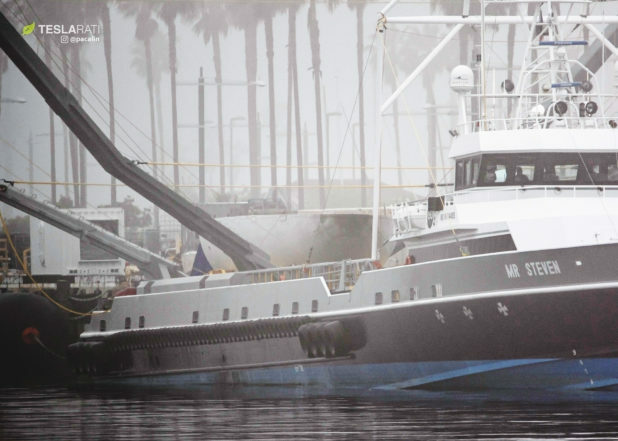 For the most part,the problems preventing SpaceX from recovering fairings in Mr Steven’s net have been almost entirely solved: the fact that two fairing halves have been recovered intact after their last two Western launches confirm as much. 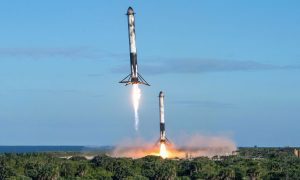 SpaceX engineers have somehow found a way to enable a highly flexible, lightweight, and aerodynamically awkward lifting body to survive a journey from heights of 110+ km and speeds of more than 2250 meters per second. 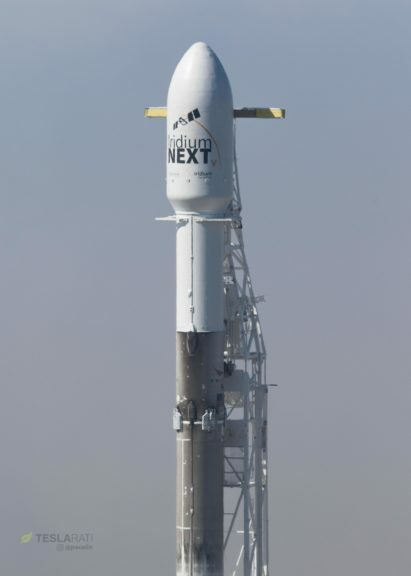 SpaceX’s fairings may look unassuming dressed in their subtle soot and simple curved lines, but – as SpaceX has intoned in the past – if landing massive Falcon 9 boosters after launch is akin to “launching a pencil over the Empire State building and having it land on a shoebox on the other side…during a wind storm,” recovering the relatively minuscule and light fairings can be fairly compared to launching a paper bowl over two stacked Empire State Buildings in a tornado and catching it with one hand behind your back on the opposite side – all without ripping, folding, or denting it. SpaceX is 99% of the way to successful and routine fairing recovery and reuse and the final 1% is all about testing and subtle refinement. 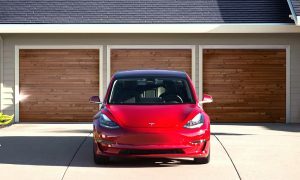 Future fairing recovery attempts may even be streamed in real time on SpaceX’s webcasts, according to Musk.